Nike‘s Air Max Deluxe continues its strong run. Already seeing a growing selection of colorways and a collaboration alongside Skepta, the revived Air Max sneaker will soon launch in “Thunder Blue.” The aforementioned color will encompass “Photo Blue,” ”Wolf Grey” and black on its neoprene upper along with 3M reflective accents. The full-length Air Max unit makes a return to support the white midsole and colorful upper with a small Swoosh located on the lateral and medial sides in addition to the tongue and heel. 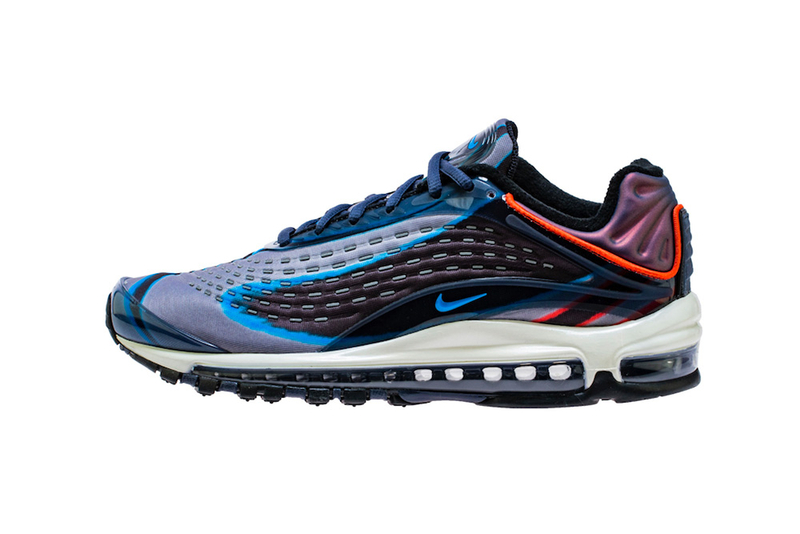 The Nike Air Max Deluxe “Thunder Blue” arrives next month at select Nike retailers for $180 USD. Take a look at the images provided and let us know how it compares to previous releases. In related Nike Sportswear news, you can take a look at what may be 2019’s new Air VaporMax sneaker. Teaming with the series’ original creators. In addition to working on an album, she says she’s pursuing her pilot’s license, learning to sail and prepping a book of poetry and short stories. An ode to the anti-Christmas character. The gentleman’s game needs more youthful converts. The company is reportedly in talks with Canada’s Aurora Cannabis. Featuring the collaborative Nike React 87 sneakers.